The hike begins and ends just past the yellow gate at the end of the Eaton Canyon Nature Center parking lot. You will need to park on the street and walk down, as the parking lot will not be open at 7 am. There will be plenty of street parking. Time: Hike will begin at 7:30 am SHARP! There is no cost to register. 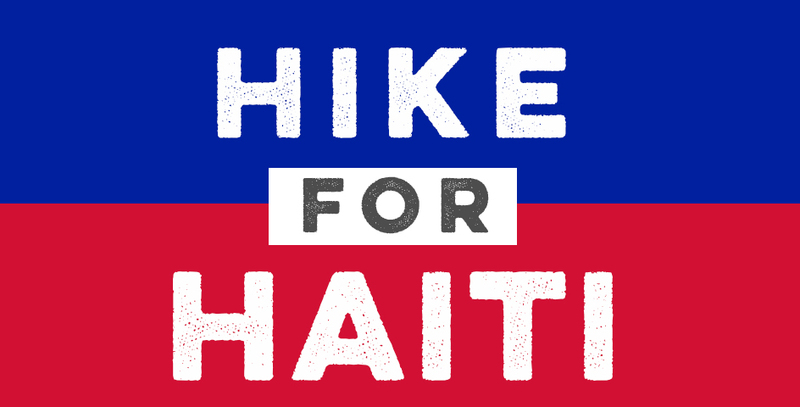 However, the Hike for Haiti is a great opportunity to raise funds for our partner school in Haiti. Each hiker is challenged to raise a minimum of $50, asking family and friends to sponsor his or her hike. To raise money for the lunch program and teachers’ salaries at Ste. Marguerite School in Haiti. Through this program, Saint Mark’s has been providing a daily hot lunch to 140 students since 2012. The hike to Henninger Flats is a similar distance to the one which Ste. Marguerite students traverse each day to get to school. Braving this distance and terrain is a great reminder of how much these students value their education and how important our efforts to support them really are! A shorter hiking route will be available for anyone who needs it. Water, sunscreen, a hat, and more water. There is a fountain available for refills at the park, but you don’t want to run out of water on the trail. sponsoring in the Special Instructions section.